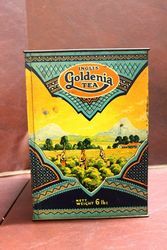 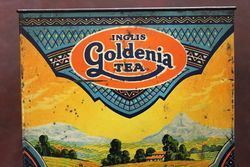 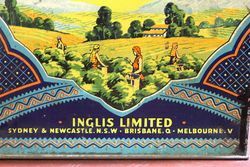 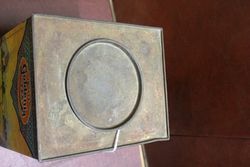 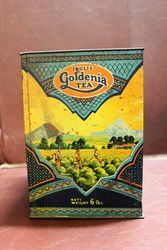 6 lbs Inglis Goldenia Pictorial Tea Tin. 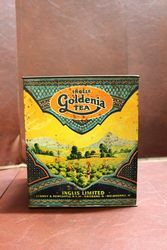 6 lbs Inglis Goldenia Pictorial Tea Tin. 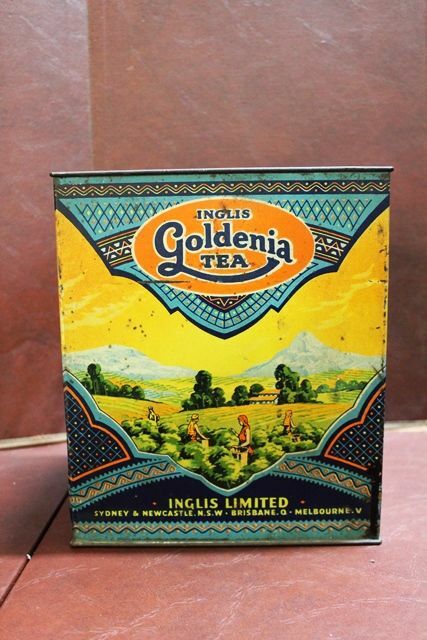 Nice early example in great condition for age. 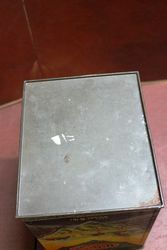 24cm high x 20cm wide.